Rainshower®, Power&Soul®, Euphoria and Tempesta are made in GROHE’s shower factory in Lahr - Black Forest Germany. German innovations have always been a driving force behind the success of GROHE showers. 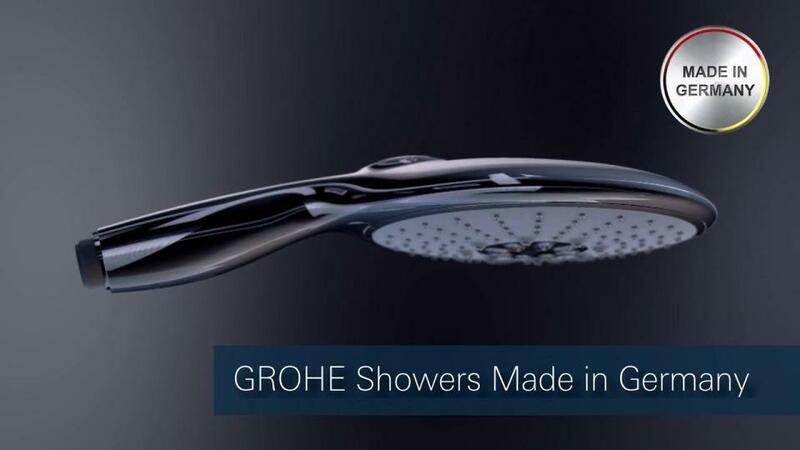 GROHE has been producing its innovative showers and shower engines in Lahr, in Germany’s Black Forest region, since the late seventies. Each GROHE shower therefore benefits from the wealth of the company’s accumulated shower knowledge. From injection molding, welding and galvanising of plastic components to assembly, quality inspection and packing - proven expertise and diligent work at every stage of the process are key to the high quality of GROHE showers. This is what the GROHE factory in Lahr is all about – for the benefit of consumers around the world.